"The attention to detail that was taken by the teams building and finishing the drywall was incredible. 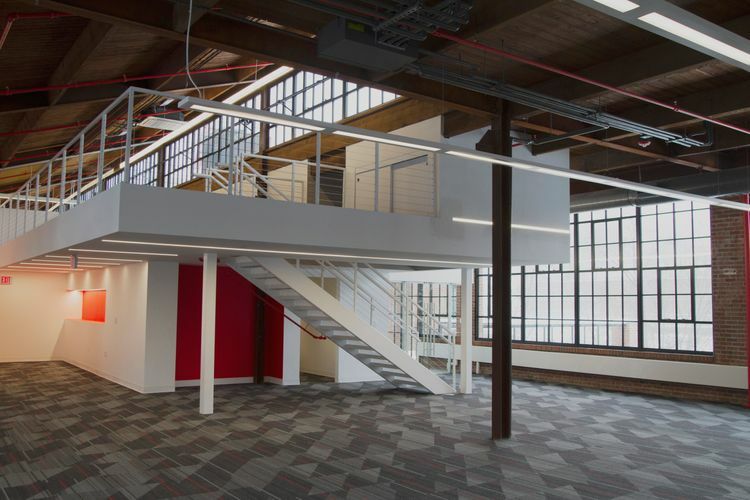 The interiors of the building are exquisitely executed, and capture the vision for the space perfectly." The historic L.N. 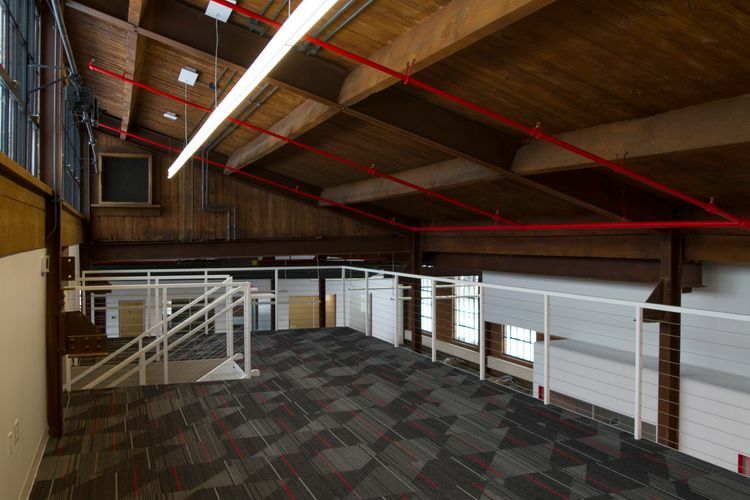 Gross Building, once a women’s dress manufacturing plant in the 1920’s, will now not only showcase the design work of architectural firm DS Architecture, but be home to their new office. 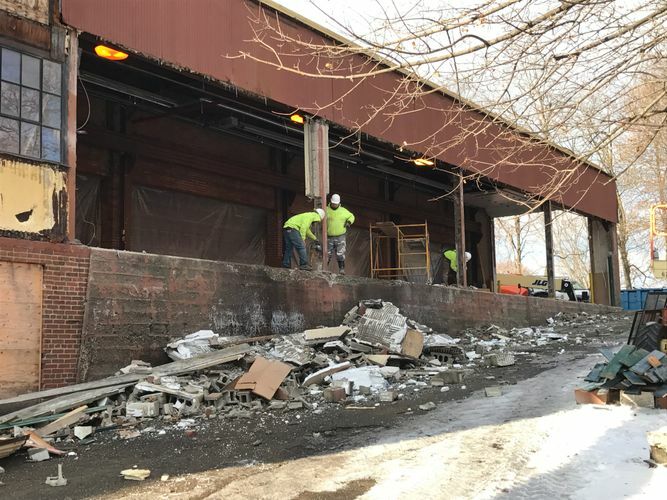 Originally built in 1928, the historic art-deco landmark located on the northside of Kent, will be a shared space for the offices of DS Architecture and Onus Aqua, an aluminum bottled water company with a heavy focus on recycled materials. The $6 million restoration of the building is backed by $2.1 million in state and federal tax credits in the interest of preserving the historic landmark. Of utmost importance to the project was the preservation of the art-deco characteristics that showcase the history of the building. 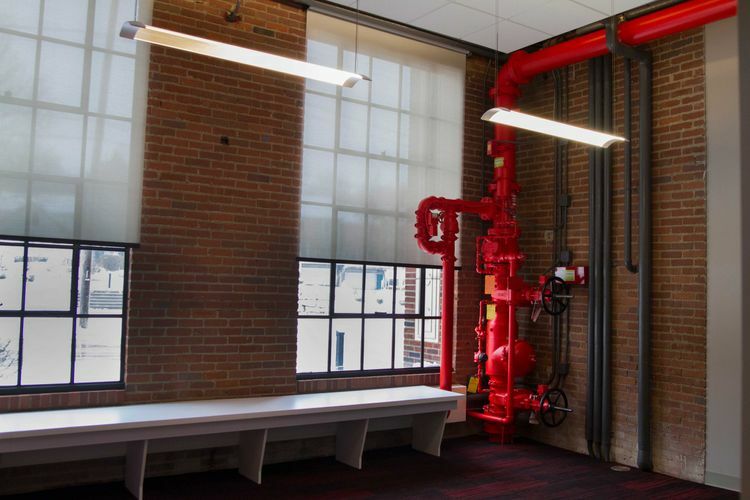 The project renovation restored brick walls in the interior and exterior of the building, retained original window treatments, and maintained much of the exposed ceiling. In instances where new building materials were utilized, considerable attention was paid to integrate into the existing historic structure seamlessly. In addition to preserving the historic structure, the project also aimed to achieve LEED certification, which can often be difficult to reconcile with maintaining original structures that are no longer energy-efficient. Historic tax credits strictly guide what facets of a building can be altered while maintaining historical status, especially to the outer facade. For example, DS Architects were tasked with finding a custom glass maker that could make windows for the front of the building that would preserve its historic look, while also meeting efficiency standards set forth by LEED. Furthermore, designing around the necessities of the Onus Aqua manufacturing plant which will access limestone-filtered water from a deep local aquifer presented challenges which required additional creativity in design. OCP Contractors’ innovative methods, highly skilled workforce, attention to detail, and experience made the firm ideal for completing the historical renovation. Despite the project’s compressed schedule of 3 months (from contract award to Certificate of Occupancy), the OCP team was able to complete detailed work to a high quality. 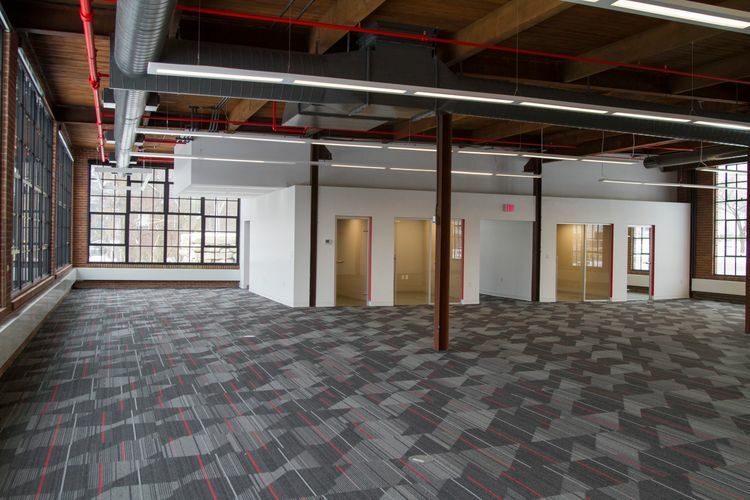 Great care was taken in ensuring new finishes appropriately joined with the existing exposed brick, steel columns, and exposed wood beams and decking to give a uniform aesthetic. The original plaster wall, coves, and bullnose corners in the entry vestibule were all restored by the OCP team. “The L.N. Gross Building has large open spaces, and long flat smooth forms wrapped in drywall. The attention to detail that was taken by the teams building and finishing the drywall was incredible. The interiors of the building are exquisitely executed and capture the vision of the space perfectly. In some cases, the drywall finishes needed to be reworked multiple times to achieve the desired effect, but OCP wouldn’t leave the work until they and the owners were satisfied” stated Eric Pros, Director of Design with DS Architecture. The historically renovated, 90-year-old L.N. Gross Building has been fully restored and is now occupied by DS Architecture and Onus Aqua, as they continue the next chapter of the building’s history.